Brescia University is also featured in our ranking Top 25 Most Affordable Online Bachelor’s in Accounting. 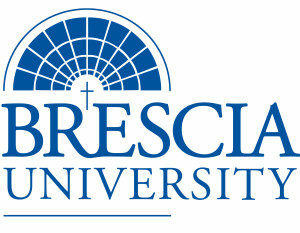 Affiliated with the Catholic Church, Brescia University is an institution of higher learning in the state of Kentucky. The school was initially founded as a women’s school but would become a four-year university offering bachelors and graduate degrees. Founded in the 1920s by a group known as the Ursuline Sisters of Mount Saint Joseph, the university was made coeducational after the Second World War. The school would become Brescia College in 1951 and reach university status in 1998. There are around 1,300 students attending the university with the majority of students attending undergraduate classes. The official colors of the school are yellow and blue, and the sports teams are nicknamed the Bearcats. Teams participate in the National Association of Intercollegiate Athletics (NAIA). There are several accounting programs available at Brescia University for students interested in becoming accountants, financial planners, and businesspeople. Programs include a Bachelor of Science in Accounting, a post-baccalaureate certificate program in accounting, a minor in accounting, and several online degree options. The bachelor’s degree programs require that students complete 128 credit hours. The post-baccalaureate certificate programs require that students already have a bachelor’s degree and maintain a 2.5 cumulative GPA while in the certificate program. The accounting programs are offered within Brescia University’s School of Business and will help students find entry-level work in the accounting field or the necessary knowledge to continue study in a graduate accounting program. For students who already have a bachelor’s degree, the Accounting Certificate can offer an excellent option for increasing knowledge of accounting and facilitating a career change or entry into the accounting profession. The certificate program is designed to take students 64 weeks to complete, and on-campus room & board isn’t offered for the program. Classes a student may take in the certificate program include Principles of Accounting and Intermediate Accounting. Other classes in the School of Business a student may encounter include Business Statistics, Quantitative Methods, Money & Banking, and Marketing Concepts. Conveniently, students may take this accounting certificate program via the traditional on-campus experience or through Brescia University’s online campus portal. The school describes its online campus as a high-quality educational experience with options for accelerated learning, an affordable price, and convenient scheduling. “Affordable Colleges Online” dubbed Brescia University as one of the best online colleges in Kentucky for the rigor and affordability of the school’s online programs. Online accounting programs available at the school include a Bachelor of Science in Accounting and the Certificate in Accounting Program, which is for post-baccalaureate students who already have a degree. The school describes the program as a broad introduction to accounting and business topics that benefits from flexible courses, an affordable price tag, and a program fully accredited by the Commission on Colleges of the Southern Association of Colleges and Schools. Degree requirements for the school’s bachelor-level degrees include 57 hours of general education in areas like language, literature, religion, philosophy, fine arts, and the natural sciences, as well as 33 hours of major requirements and 15 hours of accounting electives. Online courses available to accounting students at Brescia University include Marketing Concepts, Management Concepts, Financial Concepts, Principles of Microeconomics, and Management Information Systems, as well Principles of Accounting I and Principles of Accounting II. Students who have already completed some college credits may be eligible for transfer credit at Brescia University with transfer credits being available for online and traditional, on-campus students. The Southern Association of Colleges and Schools Commissions on Colleges has accredited Brescia University at the regional level, and the Kentucky Council for Postsecondary Education has also licensed the school to operate as an independent school in the State of Kentucky. Some of the programs offered at Brescia University are also accredited by other agencies like the Kentucky Education Professional Standards Board (EPSB), which accredits the programs in teacher education at the school. The Council of Social Work Education (CSWE) has accredited the school’s social work programs, and the Asian Association of Schools of Business International has accredited the William H. Thompson School of Business. Students applying to Brescia University must submit the official application, application fee, standardized test scores, and official transcripts from high school or college. The application requires that students share their contact information, academic details, and educational history, as well as optional information the student may choose whether to share. The university also requires that students complete a series of college preparatory classes usually offered within the standard high school curriculum. Applications to the university are accepted on a rolling basis and require an application fee of $25 sent with the official application. Students whose first language is one other than English must pass the Test of English as a Foreign Language (TOEFL) exam. All students enrolled in undergraduate programs at Brescia University pay $10,475 per semester. Students attending on a part-time schedule pay $590 per credit hour. Graduate students pay $500 per credit hour with the Master of Social Work (MSW) students paying $600 per credit hour. For students eligible for room & board, the cost varies between $4,575 and $5,200 per semester. The cost depends whether a student chooses a double-occupancy room, single-occupancy room or an apartment-style dormitory. Students may pay a variety of other fees each semester like an Activity Fee, Dorm Security Fee, Health Insurance Fee, and Technology Fee. Students may also need to buy books and various supplies for their classes. The first step to obtaining financial aid at Brescia University is submitting a FAFSA form to gain eligibility for federal, state, and institutional financial aid. Students should also inquire with private organizations about scholarships and grants offered independently of the school and the federal government. After the university receives the student’s information from the FAFSA form submission, the university will send the student a financial aid award letter with details on the loans, scholarships, and grants available to the student. The aid letter will include details on any institutional scholarships and grants available to the student, and no additional application is necessary to gain these additional benefits. Once a student has been offered financial aid, he or she must submit a $100 non-refundable enrollment deposit to hold a spot in the on-campus dormitories. Financial assistance at Brescia University is available to students studying accounting on campus as well as through the online portal.